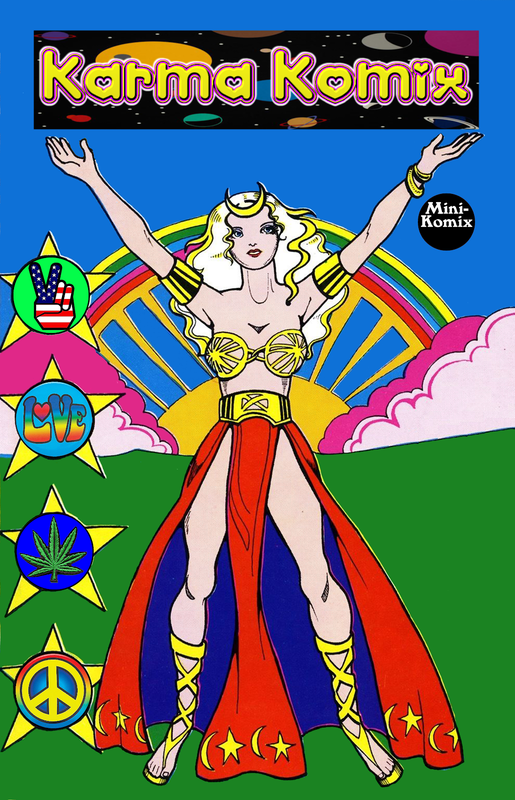 Take a trip down the rabbit hole with this psychedelic set of Karma Komix! Trippy tokes like Jesus freaks, maui waui, time travel, high-tech comix, government meat, outer space, fairy tales, kaiju, funny animals, robots, and more! 100 Big Pages! You can download this now at Drive Thru Comics and as part of the Gonzo Komix Collection Bundle, plus in print or download at Indy Planet.